Home General News Channel 6 TV Debut! 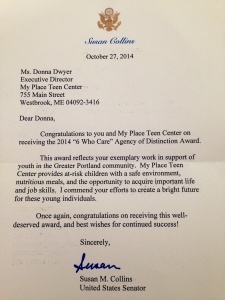 Wednesday, November 5th, 5 pm broadcast – check out the debut of our 2014 WCSH6 Who Care Agency of Distinction Award with a stellar video of our phenomenal kids! 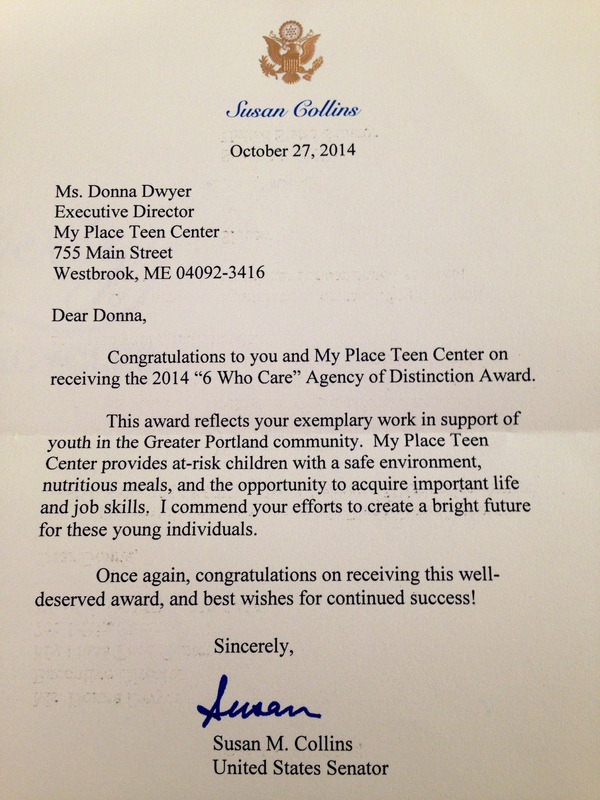 And, thank you, to Senator Collins for taking the time to recognize our work and the magic behind our red doors!